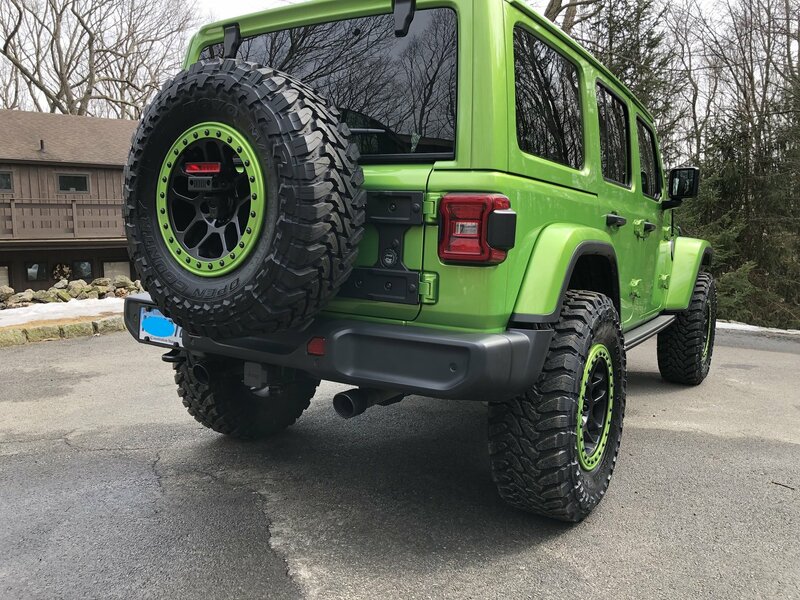 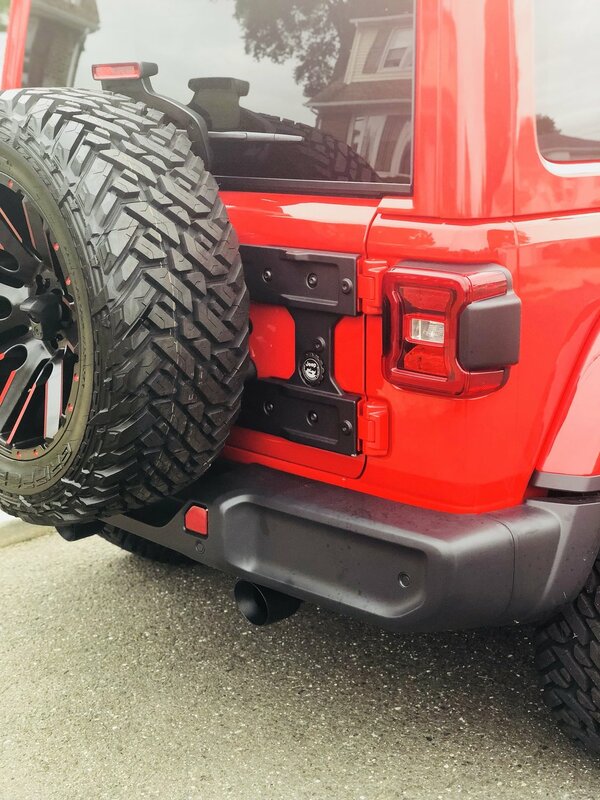 The Mopar Tailgate Reinforcement for your wrangler JL allows for a larger tire to be mounted on your original tailgate. 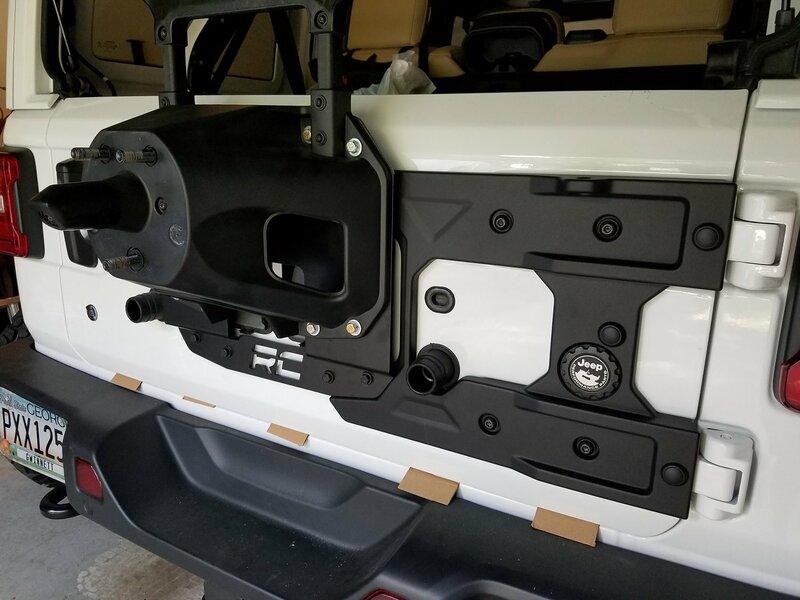 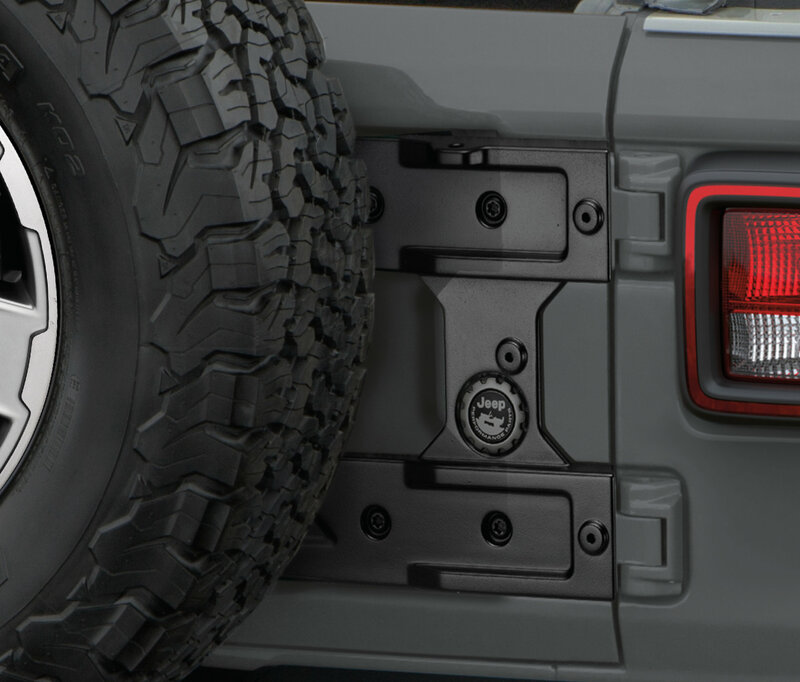 Works with original production tailgate hinges for easy installation and great looks. 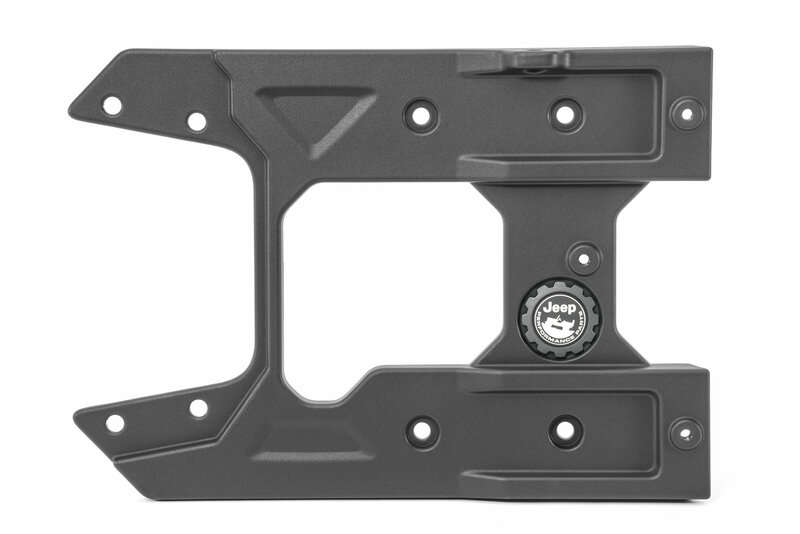 Must be used with the (82215355) Over-sized Spare Tire Bracket for anything larger than original equipment tires. 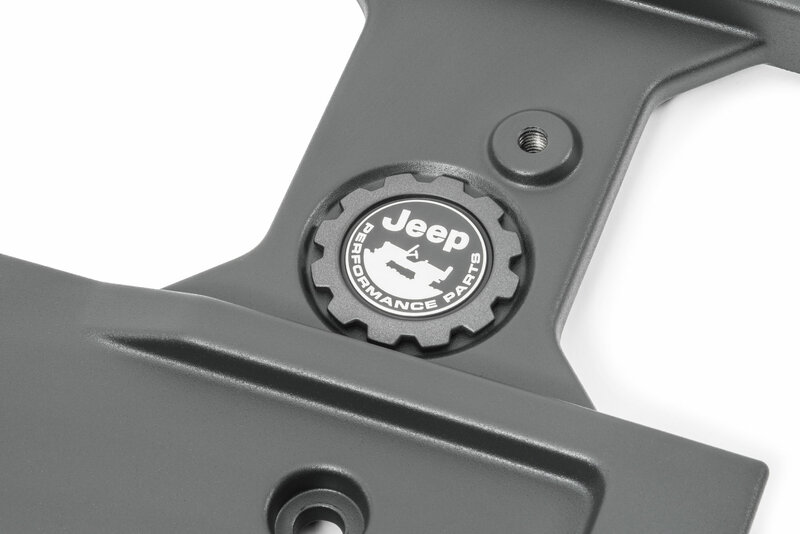 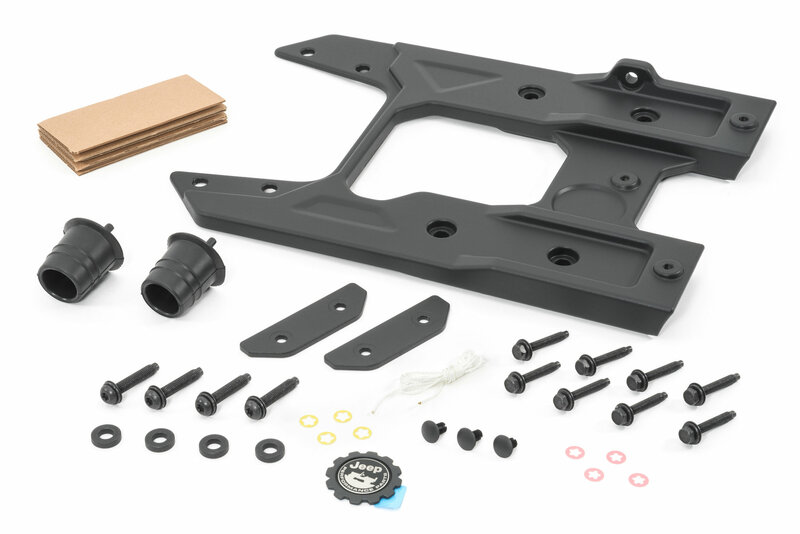 Comes powder coated black and with Jeep Performance Parts Badge. 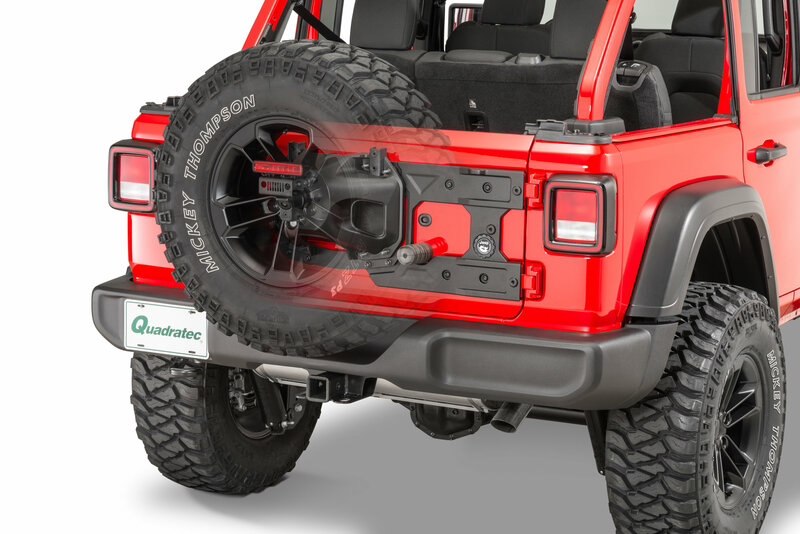 Over-sized spare tire bracket is sold separate.